The centuries after the Norman Conquest witnessed enormous changes in the English language. In the course of what is called the Middle English period, the fairly rich inflectional system of Old English broke down. It was replaced by what is broadly speaking, the same system English has today, which unlike Old English makes very little use of distinctive word endings in the grammar of the language. The vocabulary of English also changed enormously, with tremendous numbers of borrowings from French and Latin, in addition to the Scandinavian loanwords already mentioned, which were slowly starting to appear in the written language. Old English, like German today, showed a tendency to find native equivalents for foreign words and phrases (although both Old English and modern German show plenty of loanwords), whereas Middle English acquired the habit that modern English retains today of readily accommodating foreign words. Trilingualism in English, French, and Latin was common in the worlds of business and the professions, with words crossing over from one language to another with ease. You only have to flick through the etymologies of any English dictionary to get an impression of the huge number of words entering English from French and Latin during the later medieval period. This trend was set to continue into the early modern period with the explosion of interest in the writings of the ancient world. The late medieval and early modern periods saw a fairly steady process of standardization in English south of the Scottish border. The written and spoken language of London continued to evolve and gradually began to have a greater influence in the country at large. For most of the Middle English period a dialect was simply what was spoken in a particular area, which would normally be more or less represented in writing – although where and from whom the writer had learnt how to write were also important. It was only when the broadly London standard began to dominate, especially through the new technology of printing, that the other regional varieties of the language began to be seen as different in kind. As the London standard became used more widely, especially in more formal contexts and particularly amongst the more elevated members of society, the other regional varieties came to be stigmatized, as lacking social prestige and indicating a lack of education. In the same period a series of changes also occurred in English pronunciation (though not uniformly in all dialects), which go under the collective name of the Great Vowel Shift. These were purely linguistic ‘sound changes’ which occur in every language in every period of history. The changes in pronunciation weren’t the result of specific social or historical factors, but social and historical factors would have helped to spread the results of the changes. As a result the so-called ‘pure’ vowel sounds which still characterize many continental languages were lost to English. The phonetic pairings of most long and short vowel sounds were also lost, which gave rise to many of the oddities of English pronunciation, and which now obscure the relationships between many English words and their foreign counterparts. During the medieval and early modern periods the influence of English spread throughout the British Isles, and from the early seventeenth century onwards its influence began to be felt throughout the world. The complex processes of exploration, colonization and overseas trade that characterized Britain’s external relations for several centuries led to significant change in English. Words were absorbed from all over the world, often via the languages of other trading and imperial nations such as Spain, Portugal and the Netherlands. At the same time, new varieties of English emerged, each with their own nuances of vocabulary and grammar and their own distinct pronunciations. 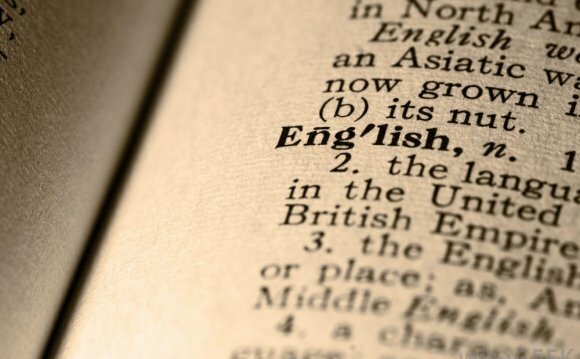 More recently still, English has become a lingua franca, a global language, regularly used and understood by many nations for whom English is not their first language. The eventual effects on the English language of both of these developments can only be guessed at today, but there can be little doubt that they will be as important as anything that has happened to English in the past sixteen hundred years.